the. short. list. // v-day. gifts. you'll. heart. - bitte.und.danke. Comin’ atcha on this frigid February Friday (try saying that three times fast!) with a new series. 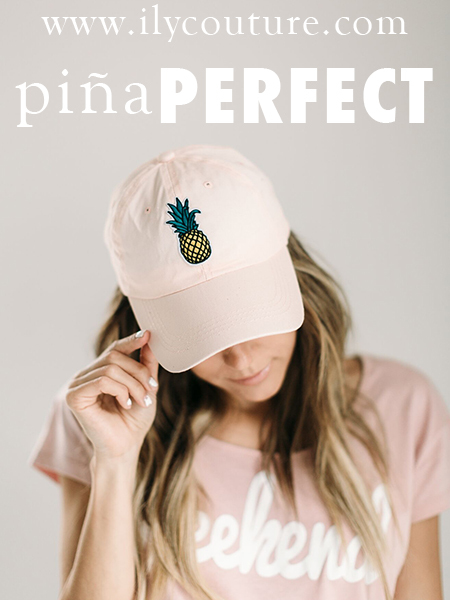 I was hoping to share a larger roundup of Valentine’s/Galentine’s Day gifts, but with the date fast-approaching, I’ve put together a short list of gifts to treat yo’ self to this February 14 (and beyond). It goes without saying that you deserve it, boo! 1. 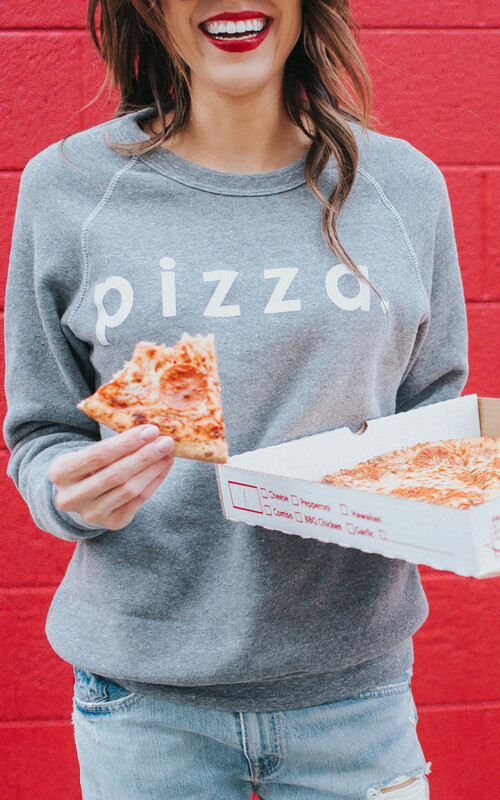 Pizza Sweatshirt (ILY Couture) // Pizza is bae. That’s all I’m sayin’. 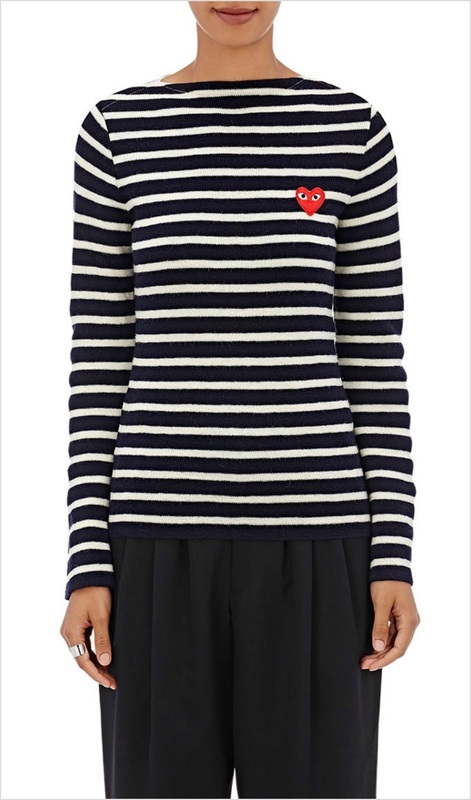 I may or may not already have this cheeky sweatshirt on standby just waiting to be incorporated into an #OOTD (or two). You best believe I’ll be sharing the outfit snapshots when I do. 2. 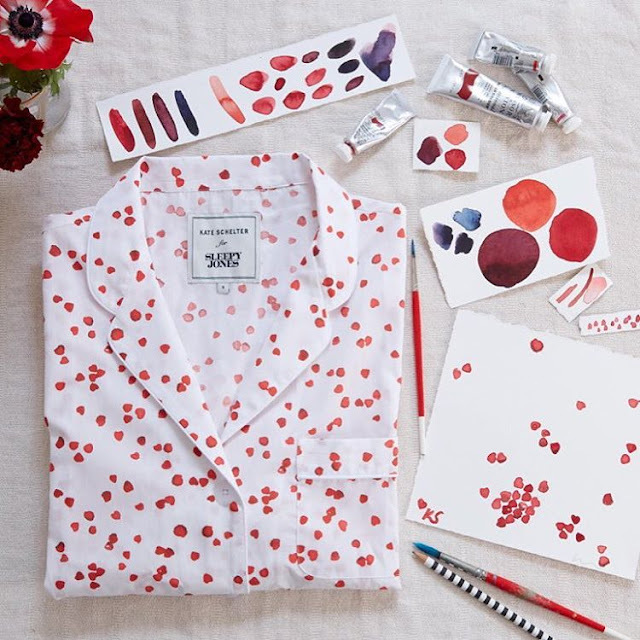 Marina Pajama Shirt (Sleepy Jones) // Fancy pjs are pretty much expected come Valentine’s Day, especially when they’re this cute and playful. Sleepy Jones recently teamed up with artist, stylist and illustrator, Kate Schelter, on a custom watercolor heart print set. While I’m eying the oversized Marina pajama shirt, the Jasper boxer shorts and matching Marina pajama pants are also noteworthy. 3. Be Mine Card Holder (Kate Spade) // Kate Spade seriously has so, SO many cute heart-themed accessories right now. This “be mine” heart-covered card holder is my fave though. Not only is it functional (hello, small purses that hold *only* the essentials), but the price point is just right if you’re on a $50 or less budget. 4. Mani Kit (Pinch Provisions) // As far as pampering goes, nothing says treat yo’ self to a single ladies vino night like an at-home mani kit. You can thank the geniuses behind Pinch Provisions for this gem of a gift idea. Inside your kit, you’ll find everything from clear nail polish and nail polish remover pads to emery boards. 6. Blush Lipstick Clutch (Ann Howell Bullard) // You had me at blush pink lips printed clutch inspired by “Andy Warhol and pure sass.” Add instant swag via a tassel or pom keychain for a whole lotta YAS. 7. Valen-mine Package (Packed Party) // If anyone knows how to throw a Valentine’s Day-bash-for-one, then it’s the folks over at Packed Party. Think: care packages delivered directly to your doorstep. 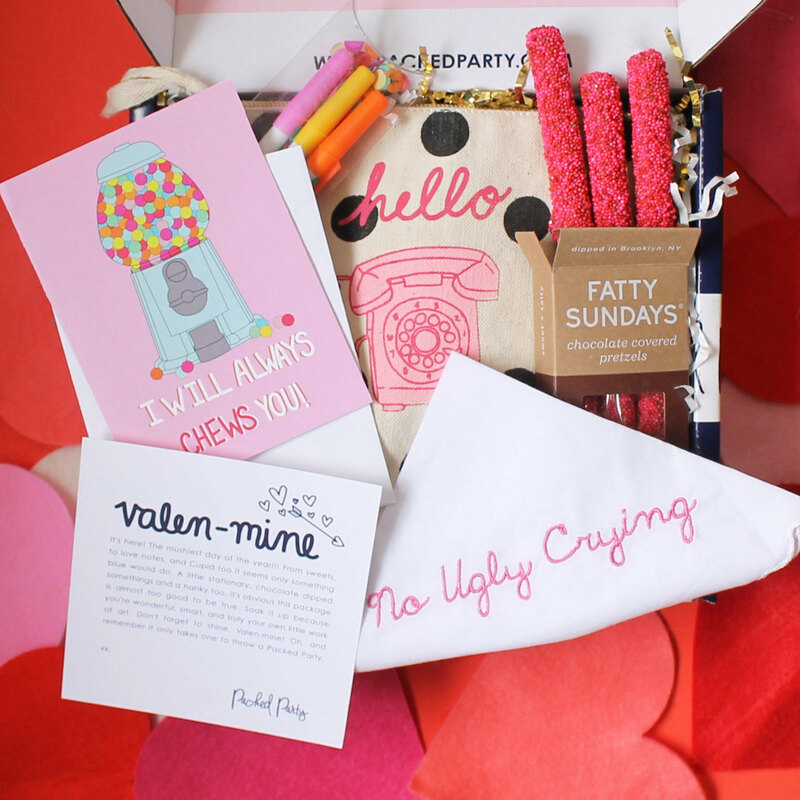 While the contents may vary, this one reveals Fatty Sundays sprinkle-coated pretzels, customized stationery and a polka dot makeup pouch. Which of these gifts will you be snagging for Valentine’s Day? Let me know in the comments below! PS: Need more Valentine’s Day inspo? 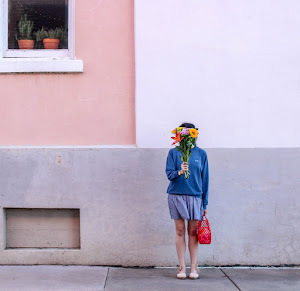 Check out my recent write-up for Brit + Co for more ideas! 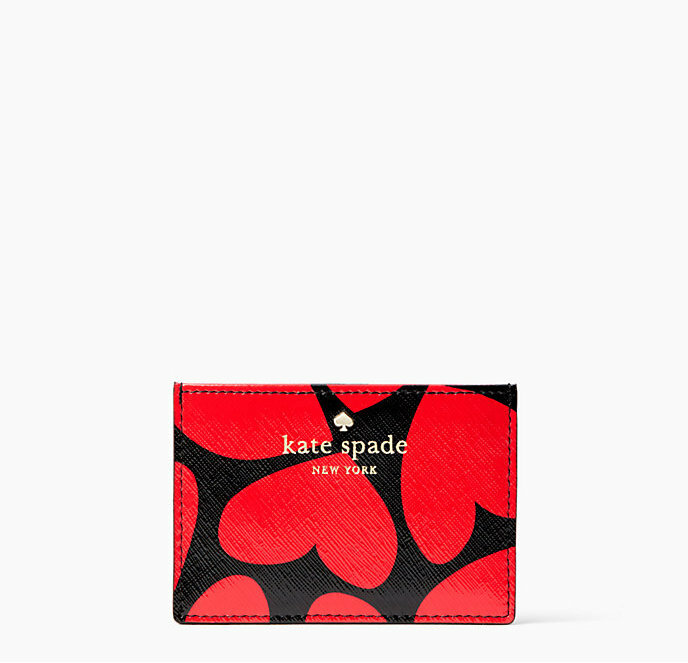 How cute is that Kate Spade card holder! I know, right?! I'm SO obsessed. Totally craving pizza now. And I need the sweatshirt to go with it. Have a great weekend! I absolutely love every one of these gift ideas! The pizza sweatshirt is *so* adorable!